In a similar vein to our interviews with Nancy’s employees, I have a fun new series planned for the NSB blog! Let’s get to know the store, one department at a time! Hello! I am the quilt shop at Nancy’s! 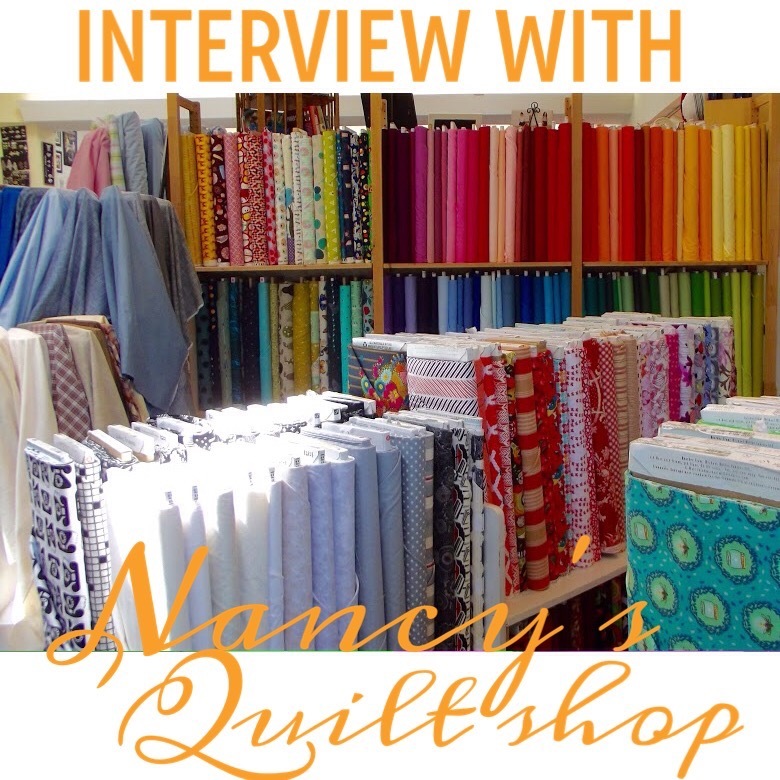 Where do you reside at Nancy’s Sewing Basket? We recently rearranged a few sections of the store and now I live just inside the front doors, to the right of the stairs. It’s especially great because I get a lot of natural light through the big front window, so it is easy to color match. I love my new location! 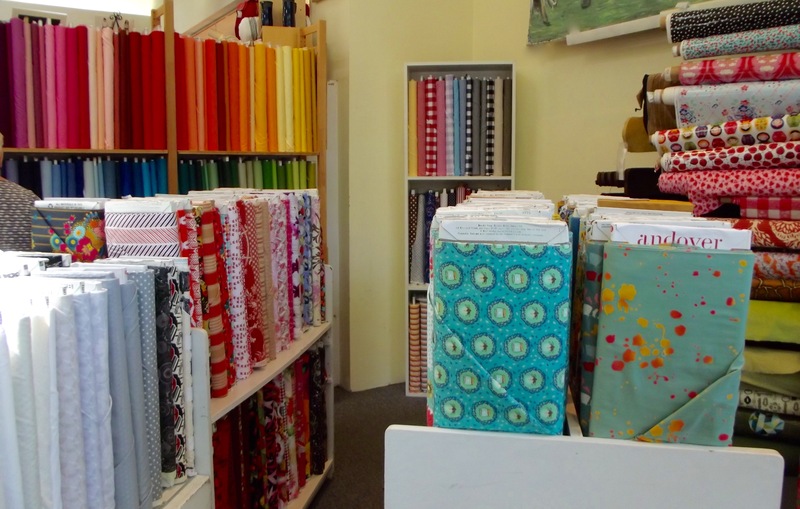 I specialize in fabrics that are appropriate for quilt making and craft projects. 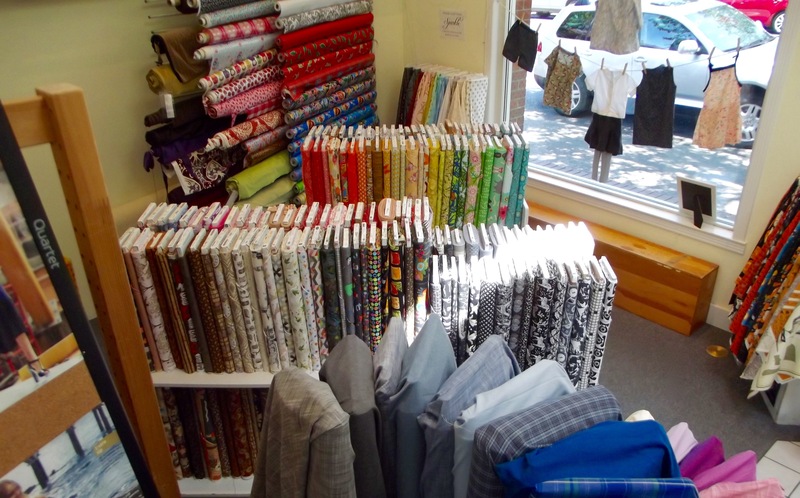 I house all the printed and solid cotton broadcloth, along with some cotton/linen blends that are suitable for quilting. If you are looking for fun, bright prints, this is likely where you will find them! I also house the quilt batting-by-the-yard. We have a lovely selection in a variety of qualities: light and lofty polyester batting, heirloom quality washable wool batting, classic cotton batting, and a nice cotton/rayon from bamboo blend that has an exquisite drape. We just got in a fabulous set of Halloween themed prints, that I adore. One of the prints is actually designed as bunting, featuring a few different motifs, so it’s a fun and fast-to-complete project! The collection also includes a large panel print that I think will make an awesome wall hanging or banner to display for Halloween! 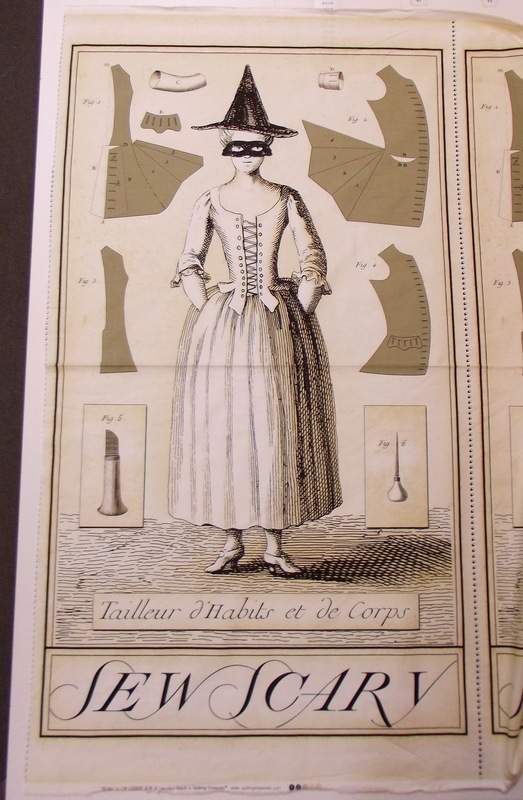 I love the historical costuming aspect, in addition to the wordplay. It is ‘sew scary’! 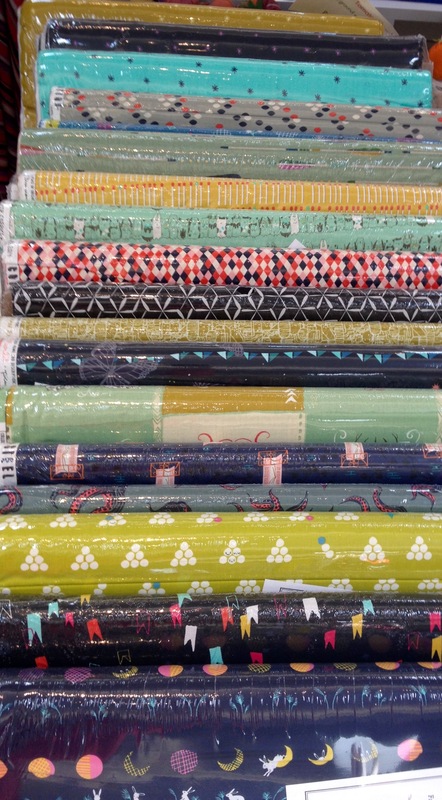 Nancy’s recently started carrying a fabulous new line of prints called Cotton + Steel, which are incredibly charming and come on a variety of base cloths. 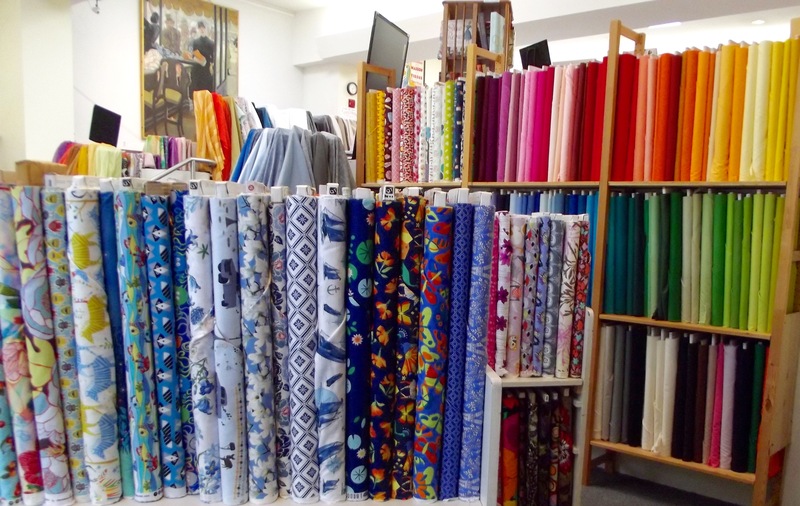 While the majority of the prints are on cotton broadcloth, C+S also makes lovely cotton lawn, cool linen/cotton canvas, sumptuous cotton double gauze, and smooth rayon challis. We’ve received two shipments so far and I love every single print. One of my favorite projects is something called a “me doll”. The local schools make them every year, meaning we get a rush of enthusiastic younger students who come in looking for fabrics that represent them, which they usually find among the cotton prints. I’ve never actually seen a finished doll, but I imagine them to be perfect and adorable. Thanks, quilt shop! Any questions about what is available in this department? Let us know in the comments below! This entry was posted in NSB Interviews and tagged fabric, fun crafts, great gifts, interview, modern quilts, NSB department. Bookmark the permalink. 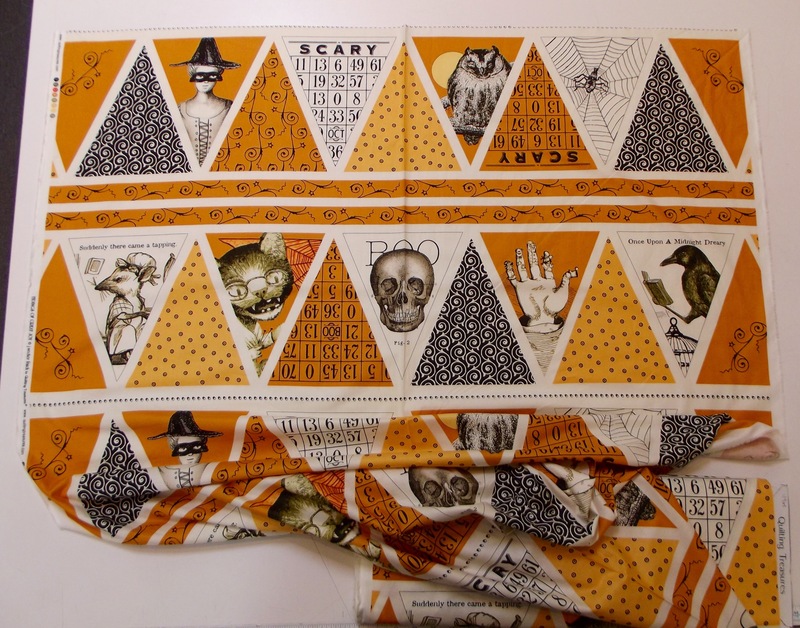 I am in love with the Halloween Bunting fabric!! Can I buy this from you online?